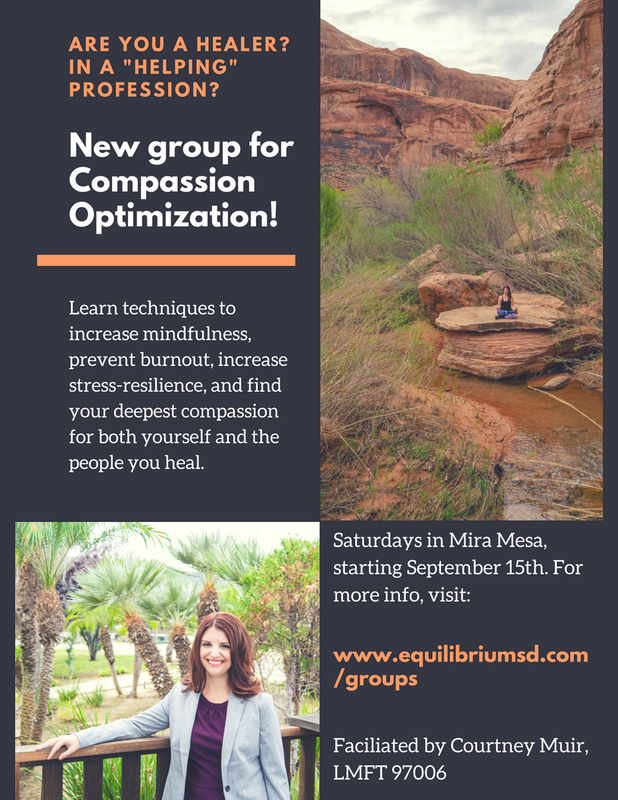 Join New Compassion Optimization Group! Are you a healer? In a helping profession? Do you feel drained at the end of your day? Before your work day even begins? Do you want to let your inherent compassion and care for other living beings shine through in all the work you do? Do you worry about burnout and compassion fatigue? If so, this is the group for you! Cost is one payment of $600, or two payments of $325 each (one at the beginning and one on the third week) by cash, check, or card. Cost covers all six groups and various group materials and handouts. Participants are encouraged to bring their own notebook to take notes. Group membership is limited to 8 participants! Call, email, or use the contact form on the website to sign up. Last day to sign up is September 12th!